You are invited to leave your cares and worries at the door and enter into deep relaxation, stillness and wellness. 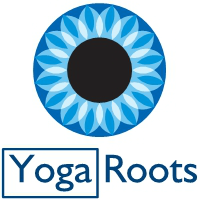 ​All our classes are tailor made to suit all levels of Yoga and modifications and props are offered on all postures for your comfort and development. ​Yoga is a physical practice that balances the mind, endocrine and energetic systems of the body by connecting the breath to movement in Asana postures , which results in toning and conditioning the muscular structure, and a release of toxins in your body organs - it is a completely different experience to a Pilates practice. ​You will also learn techniques that will help you to manage stress and anxiety even when you are 'on the go'. It is a useful practice to empower you to manage the symptoms of mild depression, anxiety, stress and burn out by restoring a feeling of well being, energy and positivity.